Furthermore, this level of collaboration needs to take place regardless of the devices that the team uses or where team members are located. Technology has enabled teams to communicate with fewer barriers than ever before, however, some organizations struggle to get their arms around the technology that will put an end to the challenges of bringing teams together, speeding the flow of information and fostering collaboration. 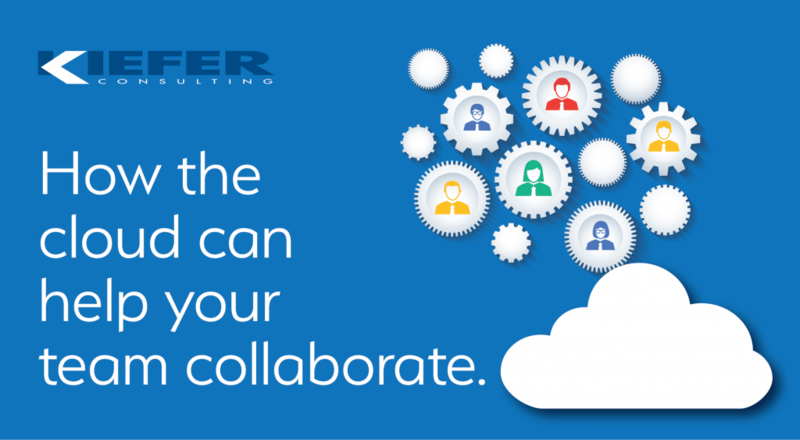 Some of the most significant collaboration challenges are associated with collaboration on documents. Many organizations require team input and review on documents. Unfortunately, teams may lack the processes or technology to ensure that teams are going about collaboration in the right way. We often find that team members are editing an earlier version of a document or that changes to a document aren’t made because of the clutter of versions flying back and forth. Collaboration has amplified the versioning dilemma. If you’ve ever edited a team member’s document that was titled “file_name_final_FINAL”, you know all about the challenges of version control. Passing versions of a document from team member to team member via e-mail will ultimately result in the team making changes to documents that do not reflect changes made by other members of the team. We’ve seen organizations try creative file naming conventions help the document review process, but in the end, users are still stumped when it comes to determining whether or not the version they are editing is the most up to date version of the document. This file is too big to send. Now what? Many businesses use email as their primary mode of communication. With size limitations, e-mail has proven itself as not being the best place for enterprise collaboration. When the file you need to share is too big to attach, employees will resort to unconventional and risky methods of sharing information. It is common for users share information in using tools that are not approved by the organization. In some cases, users will get creative using e-mail and split a large file into multiple small ones. This practice results in more clutter and makes it challenging for the document owner to capture comments, recommendations or changes from their colleagues. Too many versions. Not enough storage. It is not unlikely for organizations to save every version of an edited document. It’s rare that these older versions of documents ever resurface, but this is a very common practice. Users will typically save each new version to company servers or drives to ensure that there is a copy of the document and its recorded changes. The biggest issue with saving every version of a document is that you’ll need a lot of disk and server space, especially if all members of the team are downloading and saving multiple versions of each file. This can cost companies expensive data storage. When users see a need to collaborate, they are going to use any tools at their disposal to facilitate the sharing of information. In many cases, users will resort to using consumer grade tools that fail to meet the security requirements of your organization. When teams have to share large files or are looking to access documents on a mobile device, they might open an account with a consumer grade file sync and share provider. The biggest challenge with these services is that they can’t be managed or administered by IT and your organization won’t be able to enforce policies. Functionally, these solutions help address a business need but they can expose intellectual property or leave your employees’ devices vulnerable to viruses. There is good news. The cloud is making it possible to share information and enable collaboration across the organization. It’s just about finding and implementing the right tools. We have seen organizations leverage reliable tools that have helped ensure that that the team is working on the most current version of a document and that all team comments and edits are visible to all team members. In addition, these tools help organizations manage and secure information. If you are a Microsoft user and have Windows 10, you may have been introduced to OneDrive and OneDrive for Business. If you’d like to learn more how these products can support collaboration within your organization, please contact us. We can provide you with an overview of OneDrive for Business and show you how your organization can leverage the solution.